I found the narration choices a little distracting at first, but I came to appreciate the performance more as it went along. 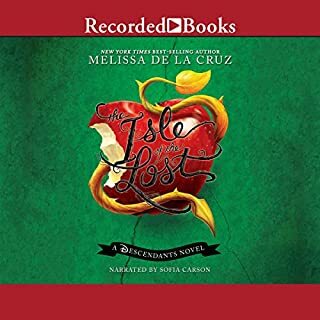 I think the narrator did a decent job with creating distinct voices for the various characters, but when she got to long sections of exposition she tended get a bit breathy and melodramatic,but that did not spoil the listening experience for me.Also, I thought the story was interesting and well paced. The character development was balanced well for all of the main characters, and the internal mythology of the story is fully explained. Finally, I would recommend this title to anyone who likes the Descendants or even to people who just like the Disney animated films that premise revolves around.